Price listed is for twelve settings. These are approximately 10mm by 5mm octagon shaped rhinestone settings. They are for pointed back stones. These have closed backs, four prongs and two rings. 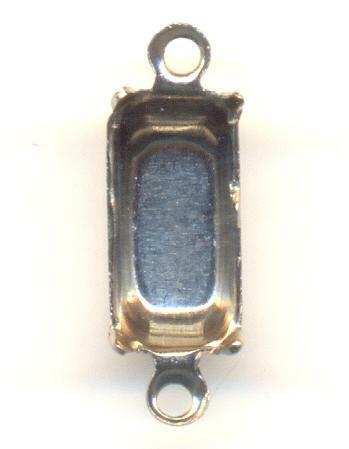 These are a darker silver and appear to be imitation rhodium plated over brass.